You might be thinking, "Where can I find the perfect birthday wishes for my son?" But there is no reason to fear! You have come to the right place! Our staff recently dropped what they were doing just to write 122 birthday messages for your son! Find your favorite from our age categories below. Try our Free Invitation Maker to put the perfect birthday wish for boys in a personalized online card. Whether you are sending these via social media, text message, email, or in a physical card, we have got you covered! My darling son has officially turned one. But for now, you can have all the fun. I love you. Happy Birthday to our son. Our darling little boy, you bring us so much joy. Everyday we love you even more and more. You have made us the happiest parents in the world. The day you were born will always be a day to celebrate and remember. Happy birthday to our son. We will always love you. To our precious baby boy, you are so endlessly loved by us. You have had our hearts from the moment we first saw you, and now we are here to celebrate that moment. Happy Birthday to our little man. We love you more than there are words to describe. To my dear baby boy, I cannot believe it is already your birthday. I love you so very much. Wishing you the best of birthdays, and many more to come. Whom everyday brings me joy. To someone as funny as a fruit. Wishing our darling son the perfect birthday this year, and many more to come in the future. We love you deeper than the ocean. And I can’t help but dance with glee. We all love you deeper than the bottom of the sea. Happy Birthday to my baby. From the moment I first saw you, I knew that there could be nothing on this earth more precious. I love you to the moon and back. Happy birthday. My whole world stopped the moment I laid eyes on you, and now I am so happy to celebrate with you one year later. Know that you are always loved. Happy Birthday. We love you to the moon and back. We wish you nothing but health and happiness in the many years to come. Always know you are loved. Happy birthday, son. We wish you the best with cheer. We wish you endless play and fun. To our newborn son, we wish you so many more years of endless happiness. We love you more than you will ever know. May you have the perfect first birthday. You are the reason I am always smiling. To my perfect little angel, I wish you the happiest of birthdays. To my handsome little prince, I love you more than there are words to describe. You are the most beautiful part of my life. Happiest birthday to you. Time has been flying by so much faster since you have entered my life. You are the most precious child in my life. And I am so happy to celebrate your birthday now with you. May your life be filled with happiness and dreams come true. No matter how many birthdays go by, you will always be loved as much as the very first day you came into our lives. Never forget that. Happy Birthday to our sweet baby. Wishing my darling boy the best of birthdays. You are the light of my life, the reason behind my smiles, and the center of my heart. May you live a life full of dreams come true. My sweet baby boy, I love you more than there are stars in the sky. Know that I will always love you, and will do anything to see you smile. Wishing you the happiest birthday today, and every year to come. You are the most precious gift I have ever received. You make me the happiest mother in the world. Hope you have a very happy birthday and may all your wishes come true. Hope your birthday is filled with toys. And you have the perfect day. You will always be a perfect angel to me. I love you more than anything else on this Earth. May you have the happiest of birthdays and all your wishes come true. And we are so delighted. "Happy birthday to our kid!" Your smile so bright lights up our days like the sun illuminates the sky. Happy birthday to our little boy! Enjoy being a kid: make a mess, break the rules, and shove your face with chocolate cake. Moments pass by so quick, you don’t want your birthday to quickly slip away. Hope your birthday is a slam-dunk! Happy birthday! We love you more than there are stars in the sky, craters on the moon, and as deeply as the night’s blue sky. Have a happy birthday. May your day be as full of love and happiness as the ocean is filled with fish. We love you deeper than the bottom of the sea. Wishing the happiest of birthdays to our little fisherman! To an extraordinary son, we hope your birthday is out of this world! Happy birthday to our son! We love you to infinity and beyond. Here’s to the birthday boy on his special day! ROAAR, as a dinosaur might say. Every 365 days, you get a whole dedicated to you! Enjoy every moment of it, and may all your wishes come true! Make a mess, break the rules, have more fun than you thought you ever could. It’s your birthday, and you are only getting older every year! Have an All-star birthday! Hope your day is a homerun! The games, the cake, and all the play. Happy birthday to our son! Superman, Batman, Ironman.... They got nothing on someone as cool as you! Have a Super Birthday! No matter how many birthdays pass by, you will always be my little baby boy. I love you beyond words. May all your wishes come true and you have the happiest birthday yet. And your day be filled with lots of cheer! You are such a wonderful role model and a big brother for your siblings. I hope all your wishes come true and you have the best birthday yet. I know you cannot wait to blow out the candles on your cake and make a wish, but I want you to first know that are loved beyond words, always and forever. May all your wishes come true. Have a happy birthday. Your day might feel like it flew by as fast as a racecar, but I hope it is as fun as the actual race! Have a happy birthday! And wish you a birthday filled with fun! Wishing you the very best on this special day. May your day be full of fun, and all your wishes come true. Happy birthday! This birthday will be the best one yet! You’re a year older and continue to hit life right out of the park! Hope your next year is a home-run too! Happy Birthday to our favorite All Star! And try to start a fire at our picnic. With a smile full of bliss. Though that is easier said than done. And for your day to end without a bruise. Hope your birthday celebration is out of the park! Have a home-run of a day! And have fun while you play. So long as the sun shines bright. And always remember this special night! Hope your birthday is another touchdown! May all your wishes come true. May the force be with you on your special day. Happy Birthday! Is as great as you! To our little Rockstar, we hope your birthday is the best yet! You rock! You can make a wish on a star any night, but the wishes on your candles count for so much more. We wish you nothing but the best on your special day, and may all those wishes finally come true! We have something important to tell you. And pray all your wishes come true. Happy birthday to our little one! Happy birthday to our favorite snow angel. We love you more than there are snowflakes that fall from the sky. We wish you the best on your day, and may all your wishes come true. We wish a happy birthday to our little ray of sunshine! We love you all the way to the sun and back! May all your wishes come true on your big day! You are loved more than there are leaves on the ground on an autumn day. We wish you the happiest of birthdays. May all your wishes come true! Even when you weren’t trying to be funny. Which makes you so very happy. Except that it’s the only thing to keep you tame. May it keep you happy all the way to age eighteen! Having a son as great as you has always been a blessing. Praying you have the best birthday and that all your wishes come true. I wish I could say Happy Birthday like Chewbacca but I don’t speak Wookie. Hope your birthday is a blast anyway! I hope your birthday is as happy as Nemo when he finds his dad, Mickey when he saves Minnie Mouse, and Tarzan when he swings from trees. You deserve the most magical birthday yet! I hope all your birthday wishes come true. Even though you keep growing tall. and make friends so cool. Each year the world goes around. And may all your wishes come true! Wishing the happiest of birthdays to a kid growing faster than the tallest sunflower. May your birthday be as great as you, and all your wishes come true. You are growing so big and fast. We can’t believe how time has flown by since the day you came into our lives. We love you so very much and can’t wait to celebrate with you. We hope this birthday is the best one yet and that all your wishes may come true. It’s your birthday, so live it big! Eat all the cake, have fun with all your friends, and party like life is a dance floor! Hope your birthday is tons of fun! May all your wishes come true. Today is the day we celebrate another perfect year! You are such a ray of sunshine and mean the world to me. My love for you is bigger than the entire universe. Happy Birthday! Hope your birthday is cooler than the biggest monster truck and more fun than a clown car! Happy Birthday! But we plan to celebrate with lots of fun! May your birthday be a great one! To a boy who is so incredibly extraordinary! We love you to the moon and back. Hope your birthday is out of this world! You’re as funky as a monkey, and are loved more than there are animals in the zoo! Happy birthday to my favorite little party animal! Hope all your birthday wishes come true. For a boy so sweet. With all your favorite treats! To the most perfect son in the world, I love you to the moon and back. I hope your birthday is extraordinary and that all your wishes come true! I hope you have as much fun on your birthday as Spongebob has while working at the Krusty Krab! May your day be filled with the best of friends like Patrick and the most loving family like Gary! Happy Birthday! A great birthday, you must have. An extraordinary one, you will. You may be another year closer to adulthood, but we will always love you like you’re forever our baby boy. Happy birthday! You know how happy you are after a long day of fishing when you finally catch a big one? That’s how lucky we have felt since the moment you were born. Hope this birthday is a catch! You continue to amaze me with the man you are becoming. I am always so proud of you. Loving you more every day. Have a happy birthday! Every year you become a stronger man than we could have ever dreamed. We are proud of you and everything you do. Don’t ever give up on your dreams. Close your eyes, wish for them, blow out the candles, and make them happen. You have so many that love and support all that you do. Happy Birthday. May you always win your video games, and all your birthday wishes come true. Let’s face it. Your wishes when you blew out the candles were probably about video games! Stay up all night with a crying infant, touch dirty diapers, test nasty baby food…. I will still go above and beyond for my son, but your needs have gotten less demanding since then. Watching you grow up is the greatest gift I will ever receive. I hope you enjoy your birthday as much as I enjoy seeing my baby boy become a wonderful man. Wishing you the very best, and may all your birthday wishes come true. Birthdays aren’t about the presents, the wishes, and the parties. Pay attention who loved you enough to celebrate this special moment with you. Before you blow out the candles, remember how lucky you are to have such good company around you. Know that you are always loved. Happy Birthday. I don’t know anyone more deserving of a whole birthday dedicated to them than you. Congratulations on another year down, and may there be many more to come. Happy birthday, son! I couldn’t ask for a better son. You amaze me in everything that you do, and continue to grow up into a wonderful young man. I will always love you more than there are words to describe. Have a happy birthday. Anything you did ended with painful groans. You were creative, I’ll give you that. And prayed that somehow you might grow up okay. But I doubt it’ll be the same in 52 weeks! You deserve for every one of your dreams to come true. Wishing you nothing but the best today on your birthday. Enjoy it! You brighten my life like the sun lights up the sky. I love you to the moon and back. May your day be as happy as you continue to make me. You continue to get older every year, but I remember the moment you came into my life as if it was yesterday. You will always be the light of my life. I love you to the sun and back. Have a happy birthday. I love you deeper than the ocean and all the way up to the stars. Happy Birthday to the son that keeps my world spinning every day. I hope that your birthday makes you as happy as you have made me since the moment you came into my life. You will always be my baby boy, no matter how much you continue to grow. I love you so very much. May all your birthday wishes come true! Birthdays are only 24 hours long, and if you blink, you might miss it. Enjoy every moment of your day, and create memories that will follow you for a lifetime. Happy Birthday! A birthday is a frozen fragment in the universe when both space and time actually stand still for a brief moment and all that matters are each and every precious second of your special day. Promise me that you will revel in it as much as I revel in you. Enjoy every moment of your special day. You are surrounded by loved ones as you blow out the candles. Never forget how much you are adored. Wishing you the happiest birthday. I don’t think there are any other parents in the world that had to worry about their son as much as we did. You have always been the most reckless and curious little boy. I am proud to see you have only grown into a wonderful young man now. Thank you for the years of happiness, worry, and fun. I love you so much. Happy Birthday. You grow into a more perfect man every year. So proud to call you my son. I will always love you. Hope you have the happiest of birthdays. As a child, you were obsessed with superheroes. Every year you get older, you grow into your own superman. So proud of you and how much you have grown. May all your wishes come true, and your day be as marvelous as you! You never cease to amaze me by how far you can go. You set goals for yourself and achieve them no matter what. I am always proud of you. Hope you have the best birthday yet. the people around you quietly waiting for your wishes to come true, the people that love you so very much that they took a whole day to celebrate only you. When you set your mind to something, there is no telling how far you can go. You continue to amaze us every day with how much you do with the life you have been given. We are so proud of all that you do. Happy birthday, and cheers to another amazing year! I can’t think of anyone more deserving of an entire 24 hours dedicated to only them. You make me feel so lucky every day. May you have many more years of happiness to come. Happy birthday, son. You’ve had me worried since the moment you were born, because I only wanted the best for you. I am proud to say you have grown into a wonderful young man, and I am happy to see you continue to grow and mature. To my perfect son, I hope you have the happiest birthday. When you were little, you would follow me around closer than my shadow, and now you have grown up to be so independent. You may still be a kid at heart, but I am proud of the young man you have become. I hope you have the best birthday, and that all your wishes come true! We could not be any more proud of you as you continue to grow older. You are better than any son out there. We are truly blessed to have you in our life. Something about how you make me feel. But you just make me so happy. I know it sounds cheesy, but it is so true. My heart melted at your first spoken word. We seem to only bond and grow closer. And you know how to keep my heart calm. Whether through kind-hearted actions, or all your sweet words. I can’t believe another year is done. If life were a baseball game, you’d hit it out of the park every day! Hope this next year is another home-run! Happy Birthday. As you get older, you may get further from your diaper days, but your parents only get closer to theirs! Never forget the ones that loved you so dearly to change your diaper every day when those days finally do arrive for us. Happy birthday from the old bunch to our youngling! To someone that continues to grow up into the most handsome young man around, I am so proud of all that you do. May you have the best birthday yet, and all your wishes come true. The last thing you want on your birthday is to see your mother cry, so I write all these feelings in a simple card. I love you beyond words, and couldn’t be more proud of the young man you have become. Watching you grow up has truly been a blessing, and I am grateful for every moment we get to spend together. Enjoy your day, and may all your wishes come true. Never forget how truly loved you are. Happy Birthday. Hope your birthday is a touch-down! May all your wishes come true on this special game day! Wishing the happiest of birthdays to a son that is greater than the biggest planet in the solar system, and loved to the moon and back. Happy birthday, and may all your wishes come true on your next trip around the sun! And now you have grown so tall. I want my little munchkin back! But I’m not that lucky, and that’s a fact. As small and innocent as a pea. And best of luck in all you do. We love you more than there are fish in the sea. Seeing you happy makes us feel as lucky as a fisherman after a great catch! Hope your birthday is the best! Someone like you deserves the most unique birthday wish, a card with a message right from the heart. Truthfully, there are not enough words in the English language to describe how much I love you, though. I wish you the best birthday yet, and many more amazing celebrations in the years to come. You make me the happiest mother around. Thank you for always being you. May all your wishes come true when you blow out the candles. If life were a basketball court, we know you would get every basket! Hope your birthday is a slam-dunk. May all your wishes come true. I hope you have the most amazing birthday this year. You work hard every day of the year, and so you deserve the best celebration yet. You continue to grow into a wonderful young adult. Hope all your wishes come true this year! May every wish you’ve ever made on a birthday candle come true. So happy to celebrate another birthday with a son so close to my heart. I hope your day is as happy as you continue to make me feel every day. Wishing the best birthday to my teenage son. You continue to grow so fast, but I truly love the young adult you are becoming. You make me a proud mother. Happy Birthday. We are so honored to have a son as amazing as you in our lives. You continue to amaze and impress us with everything you do. No matter what your dreams are, you always put your mind to it and go after them. As long as you keep that up, you will never get held back. Cheers to another amazing year, and may all your wishes when you blow out the candles come easy for you. I am the luckiest mother to have you in my life. You are a most perfect son. Have the happiest of birthdays, and may every wish you make come true. Another birthday has come around, and I count my blessings for having a son as wonderful as you. My life would not be the same without, and I am especially honored to celebrate another birthday with you. Happy Birthday. that never lets us down. But that is no reason to frown. But you are only becoming a man. Life can be just as fun without a plan. And never have a mind full of greed. And know we always love you. You somehow always know what to do. Happy Birthday to someone extraordinary. We are always proud of you. We have plenty more birthday messages where these came from! See the wishes we wrote just for daughters! 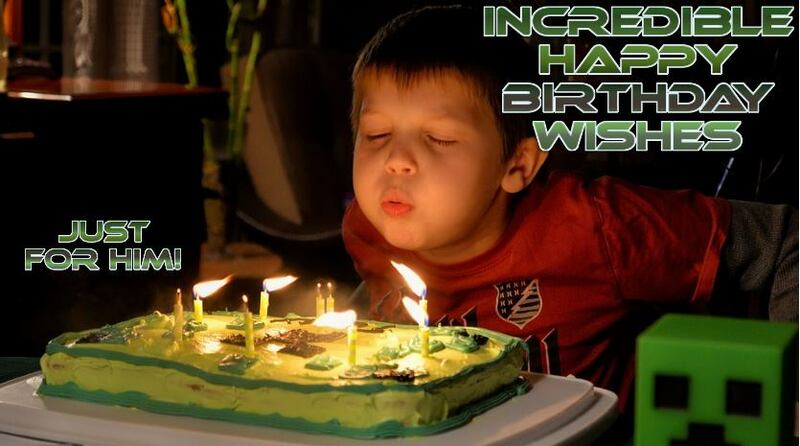 Visit our main page of Happy Birthday Messages for even more. Find other Birthday Party tips and advice on our blog!  Pick out an extra special gift from gift store. We even have a hand-picked list of the coolest toys for boys. 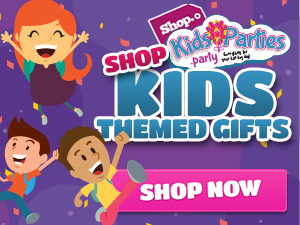 All birthday wishes are copyrighted and are the exclusive property of KidsParties.Party. Visitors are free to share them in emails, social media, and birthday cards, but re-publishing these wishes on other websites is prohibited and in violation of copyright law.